BANGKOK, Aug 23 -- After long delays in construction and several test runs, Suvarnabhumi Airport's Link begins commercial services Monday (23rd August, 2010) with special discount fares offered until the end of 2010, shortening travel times for inbound and outbound air travelers as well as easing arrivals and departures compared to existing airport transport. The rail link will charge promotional fares until the end of the year on its city and express lines. It expects to serve up to 50,000 passengers a day. 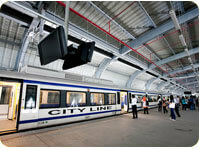 Bangkok's Airport Rail Link has two lines. The City Line, which makes stops at eight stations along the way starting from the Phaya Thai station, and the Express Line, which travels from Makksan station to the airport in 15 minutes. 1. The Express Line (Red Line) will pay 100-150 baht for a single trip. 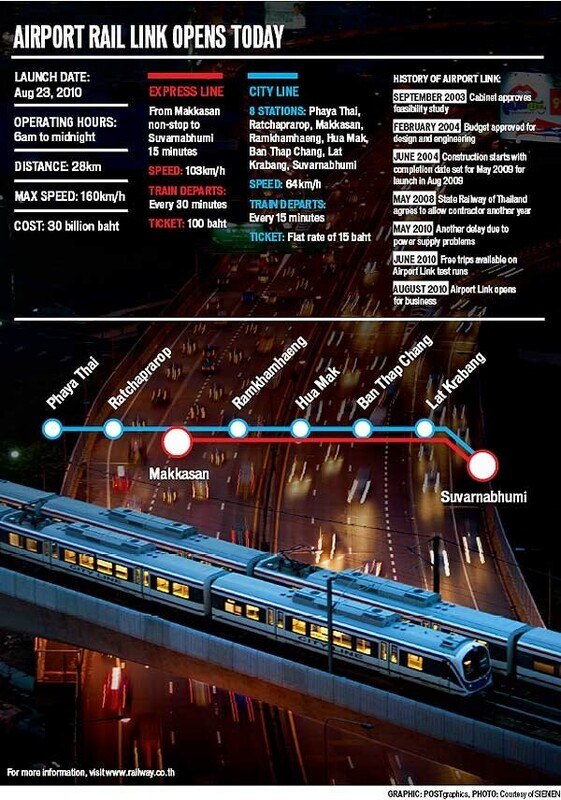 It takes 15 minutes to travel from Makkrasan station (SARL) to the airport NON-STOP. It also operates from 6 AM to midnight. 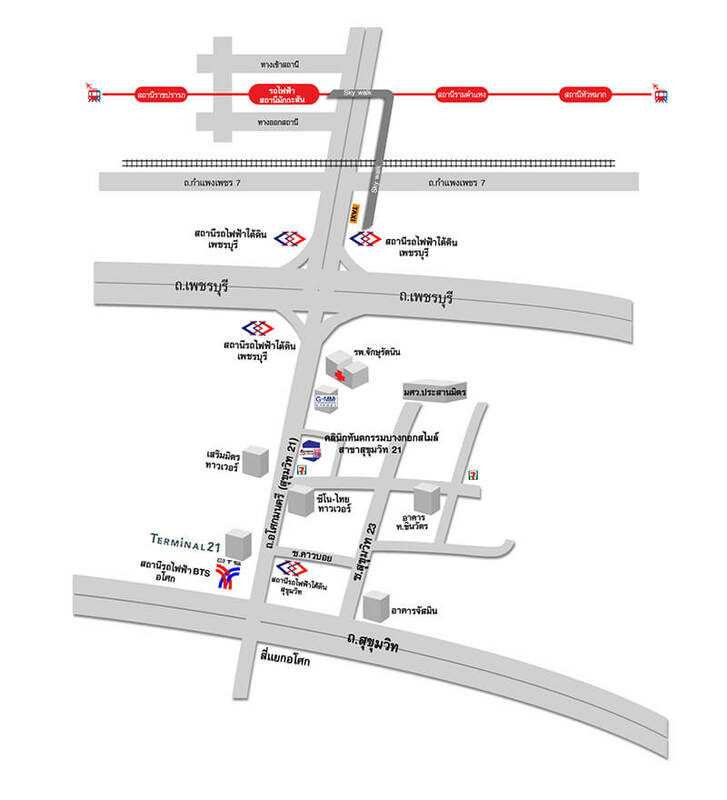 Please note that our Sukhumvit 21 location is just 5-10 min by car from Makkrasan station only. 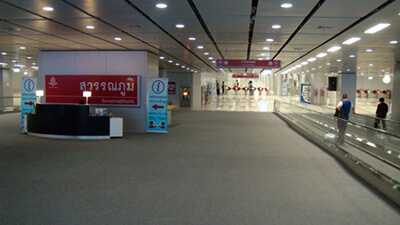 You would be able to check in your baggage at Makkasan station for transfer to the airline once the service was fully operational. 2. The City Line (Blue Line), the all-stops line. The line, which operates from 6 AM to midnight, takes 30 minutes to travel from Phaya Thai station to Suvarnabhumi airport (8 stations). Fares for the City Line will range from 15 baht to 45 baht, depending on the distance traveled. 1. 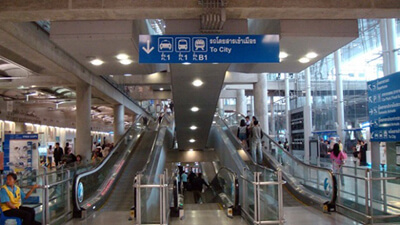 The Airport Rail Link Terminal station is located on the B1 level, with a direct access from the arrival building. 4. Purchase your ticket at the ticket vending machine. Choose “Phaya Thai Station” as your destination. 5. Upon reaching the Phaya Thai Station, take a short walk towards the BTS Skytrain Interchange, then purchase a ticket for BTS Nana Station. 6. Once you reach the BTS Nana Station, you can conveniently take a 5-minute ride either by a taxi or by a motorcycle ride going to our Sukhumvit 5 (Nana) clinic branch. 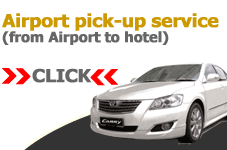 For added convenience, you can also avail of our Airport Pickup Services from the airport to your hotel or vice-versa.